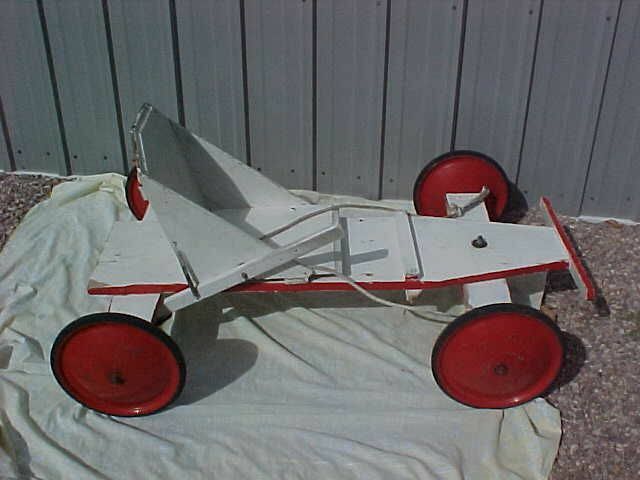 Check out this neat Soap Box Derby Race Car. 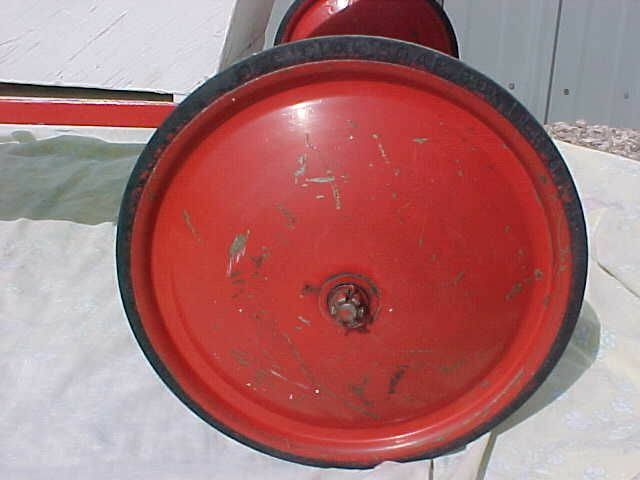 This car has Official Soap Box Derby 12" hard rubber tires. 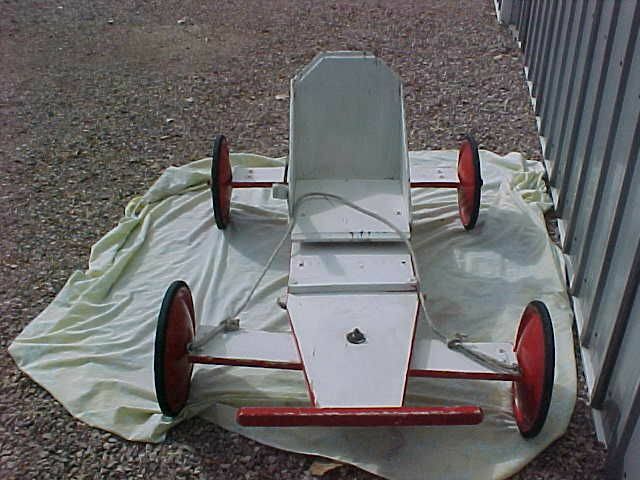 The body is made of wood, with an adjustable seat. There is a hand brake with the brake pad still intact. The steering is controlled with your feet on the front axle assembly. There also are some neat little bumper pads on the front corners of the body so the axle doesn't hang up on the wood, or damage the corners. There is one small chip of wood missing on the rear corner of the flat platform area. 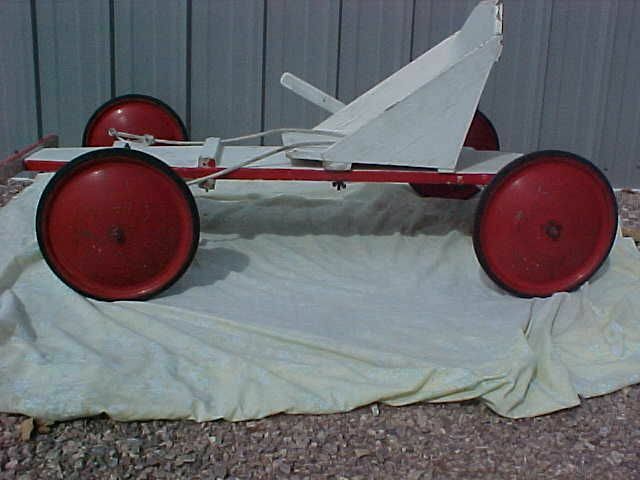 The car is painted white with red trim, and the wheels have been painted red. The paint is decent but not perfect, actually it gives it character, and really makes you visualize some kid racing their hearts out to win the race. This is a very solid built and still very functional race derby car. The PRICE IS WAY BELOW MARKET AT ONLY $350.